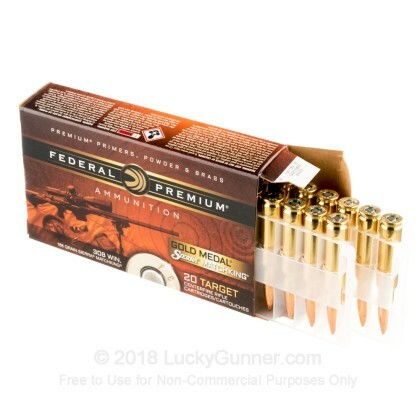 Looking for Match Grade 308 Win Ammo for competitions? 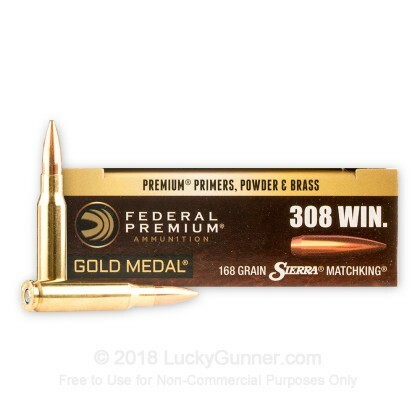 Look no further than Federal Premium's Gold Medal Sierra Match King 308 Win 168 gr HPBT ammo. Many shooting experts consider this the most accurate match round available from a factory. Federal utilizes their Sierra MatchKing Boat-tail bullet to provide extreme accuracy. The manufacturing process uses exacting tolerances to provide consistency and accuracy that will be sure to leave your competition in the dust. sighted in at the range in one visit @ 100 yards. I am going to stock up on this round and use it for my Deer Hunting. Through the years I've put a lot of different brands through my Savage 110 and I've found this to work the best for me. 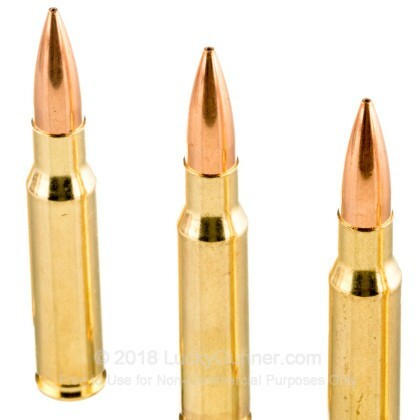 I can put 3 shots into a quarter @ 200 yards all day long! Probably the most accurate rounds I have shot out of M1A. Dealing with Lucky Guner was my pleasure. Thank you. They are expensive but they are the best. Simply the most accurate ammo that I use in my Springfield M1A Loaded. 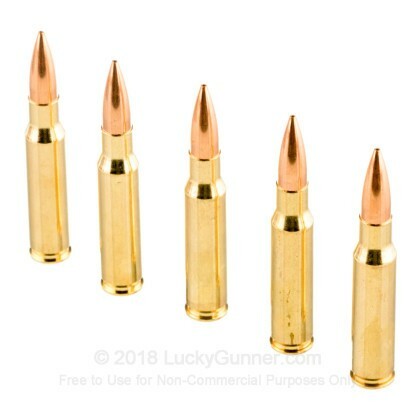 The only ammo that gives me sub 1/2 MOA groups consistently. You pay for them but there is nothing that I have found to compete with the performance of the 168 Gr. Sierra Match King BTHP Federals! 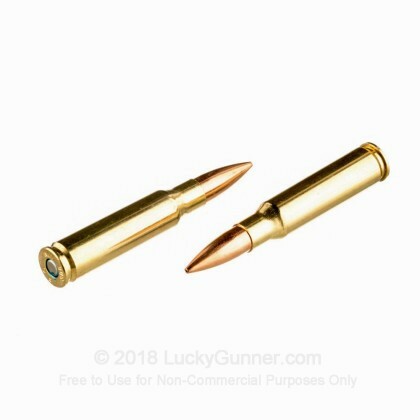 Great price, prompt shipping, excellent ammunition. LuckyGunner is the absolute Best. 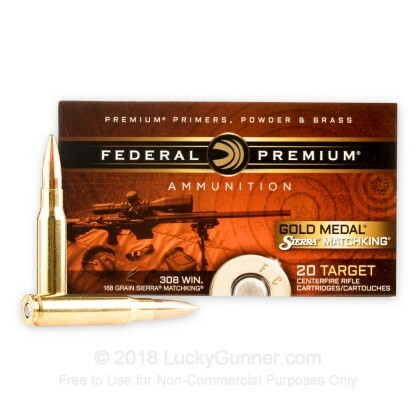 We also have this 308 - 168 Grain HP-BT - Federal Premium Sierra Match King Gold Medal - 20 Rounds ammo in stock in a smaller quantity. We also have this 308 - 168 Grain HP-BT - Federal Premium Sierra Match King Gold Medal - 200 Rounds ammo in stock in a smaller quantity.